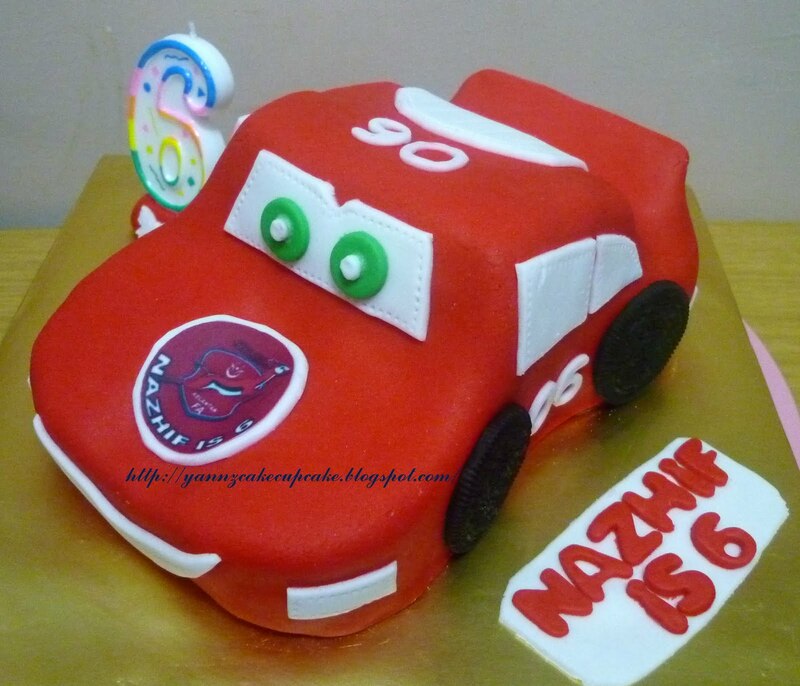 For nazhif to bring to school today, he is so excited according to his mum.. 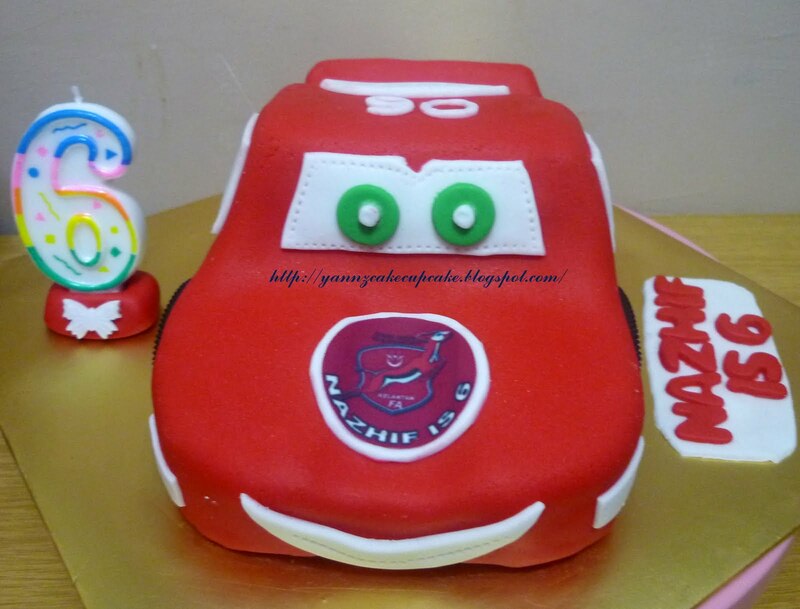 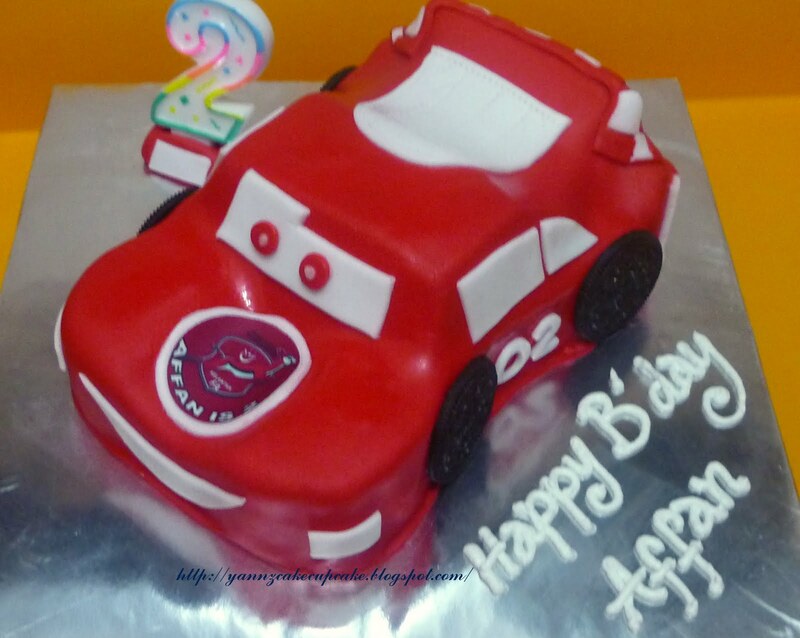 This super red Lightning McQueen Car is for little Affan from Puchong. 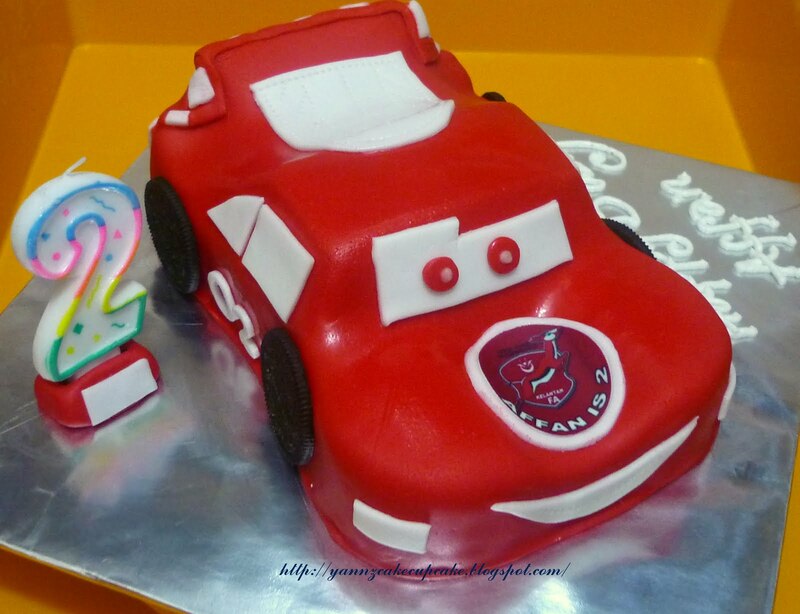 He is turning 2 this year and his mama request 3d choc cake for him. 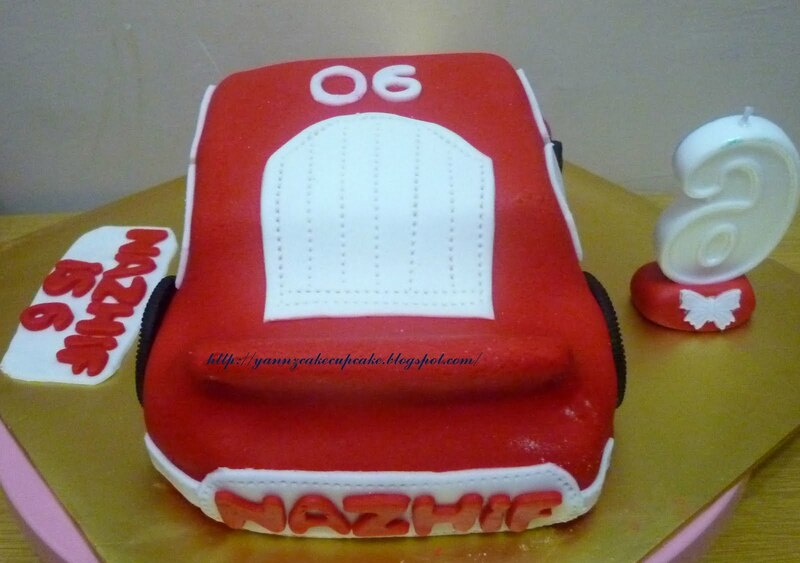 put some checkerboard spoiler on the back view. 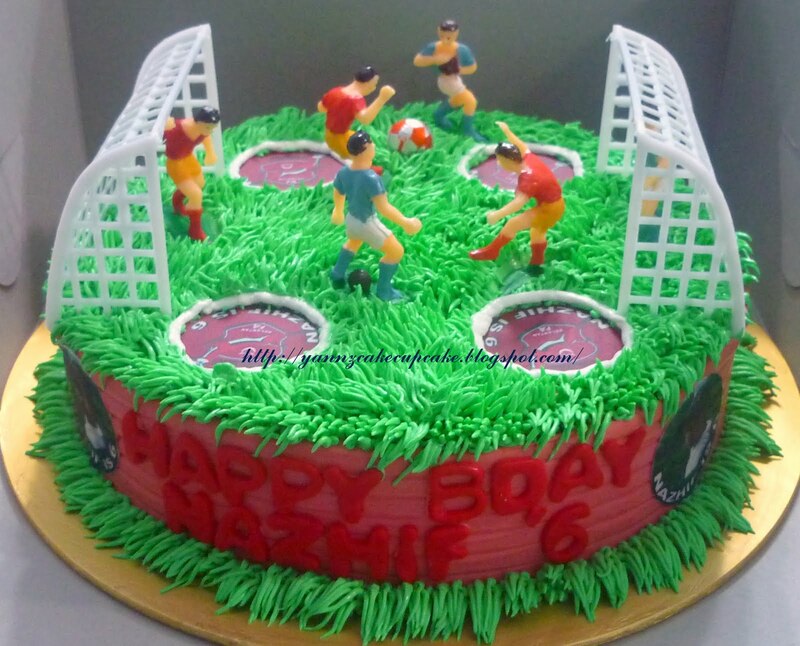 Happy birthday for Nazhif. 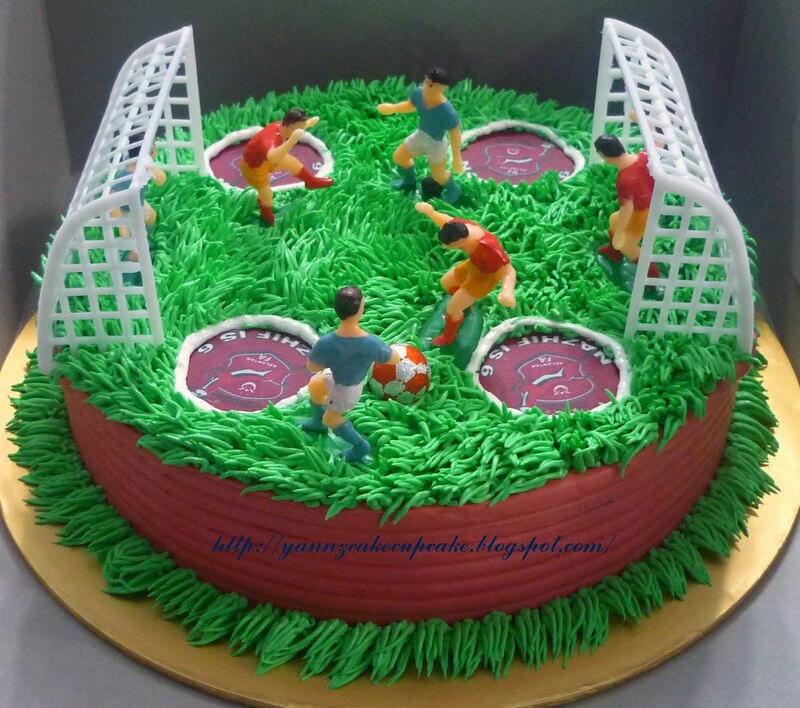 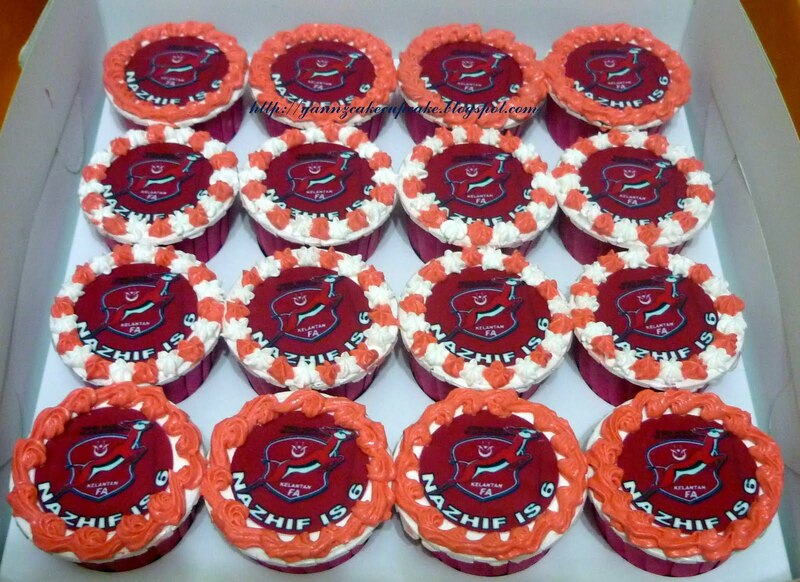 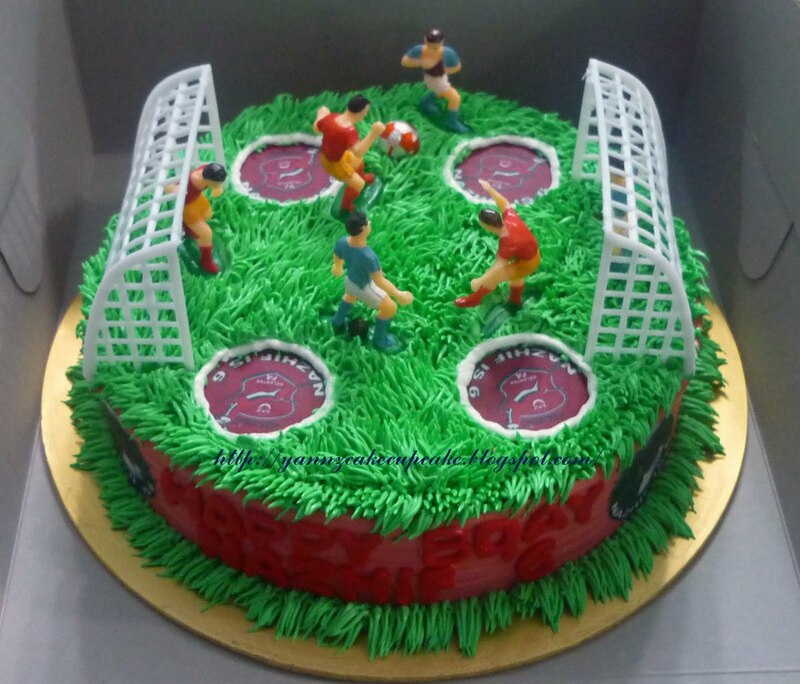 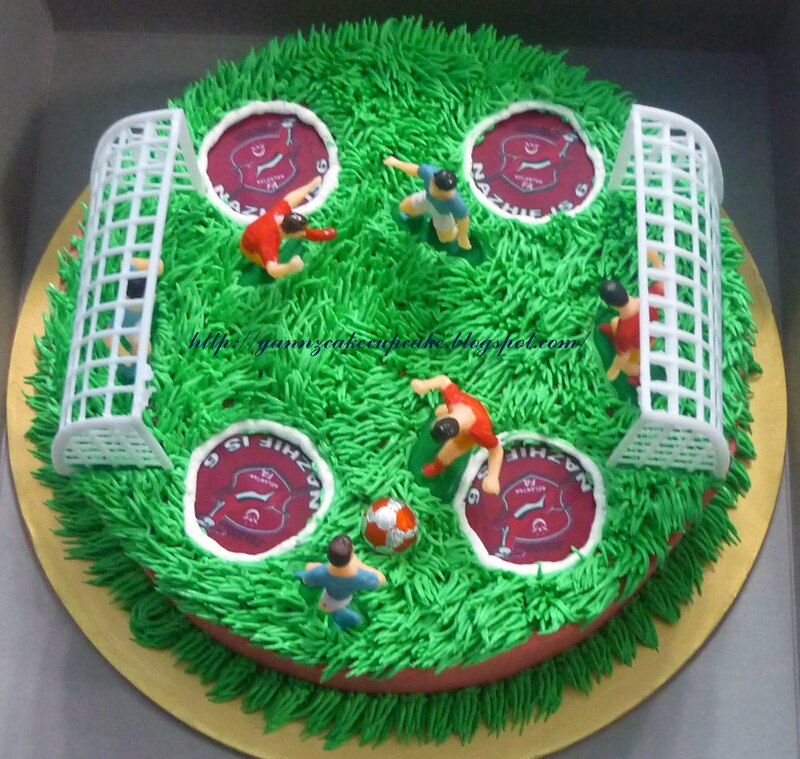 He turn 6 this year and asking for football cake with Red Warriors Theme. 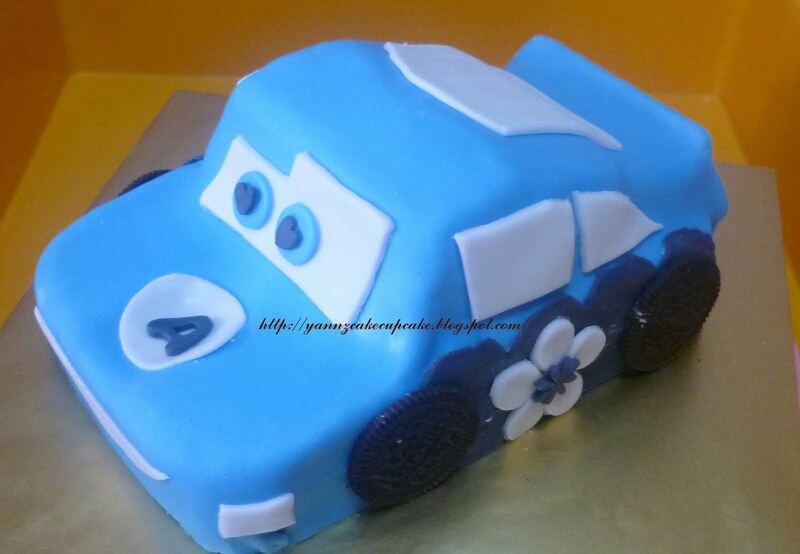 Cake inside is steam choc layer cheese brownies. 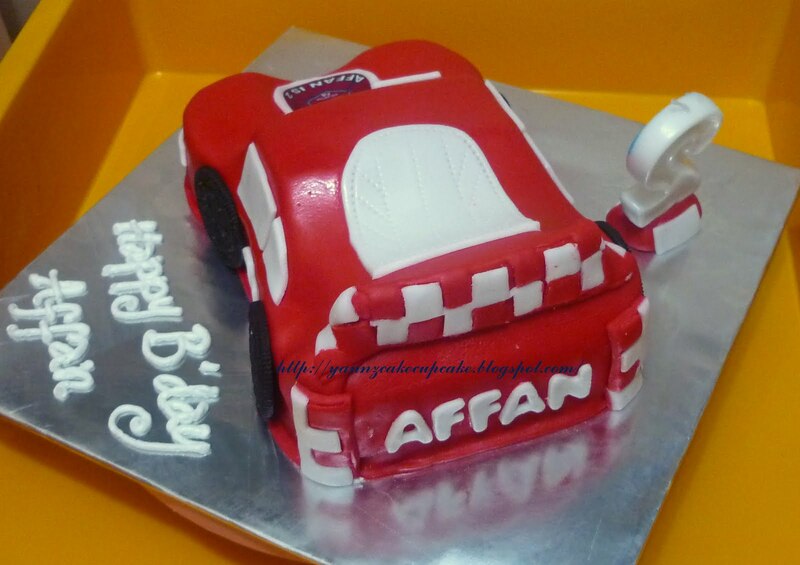 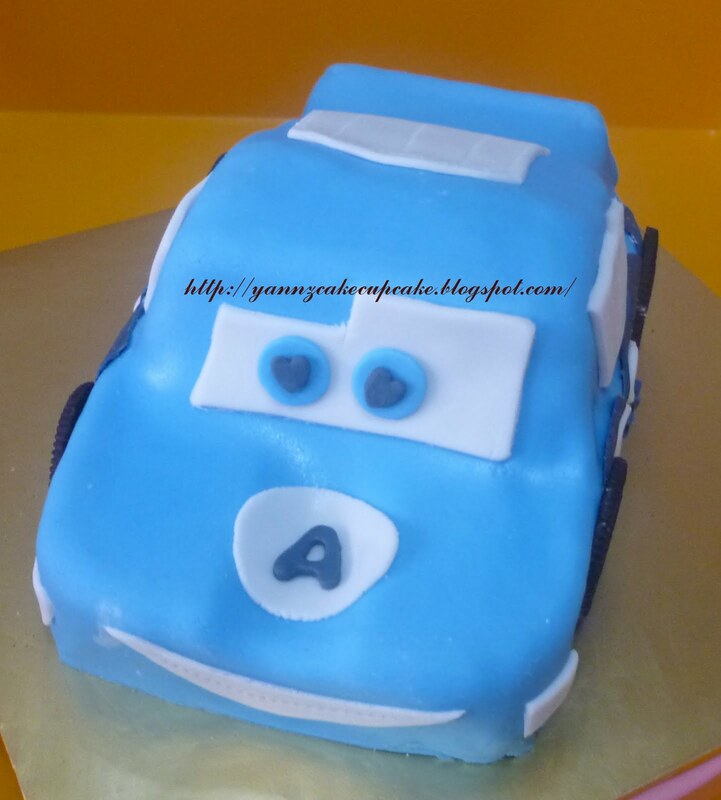 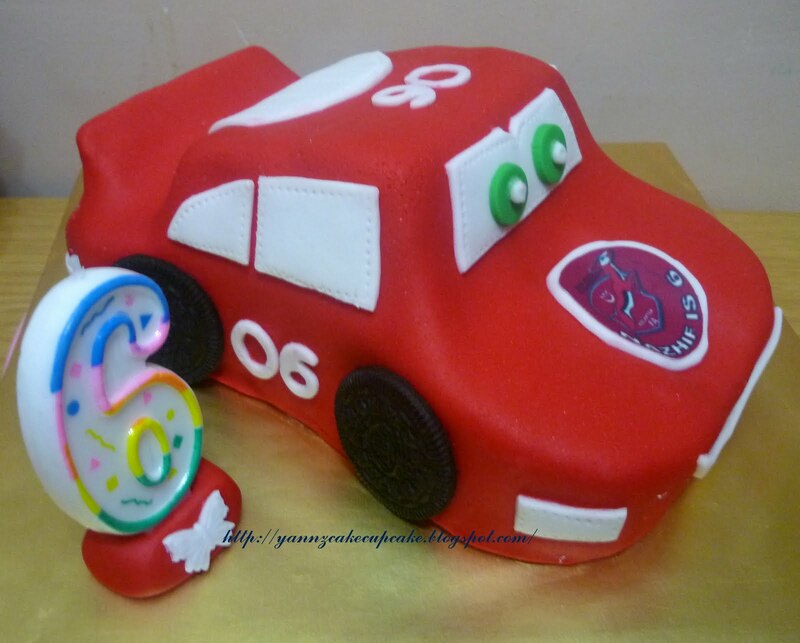 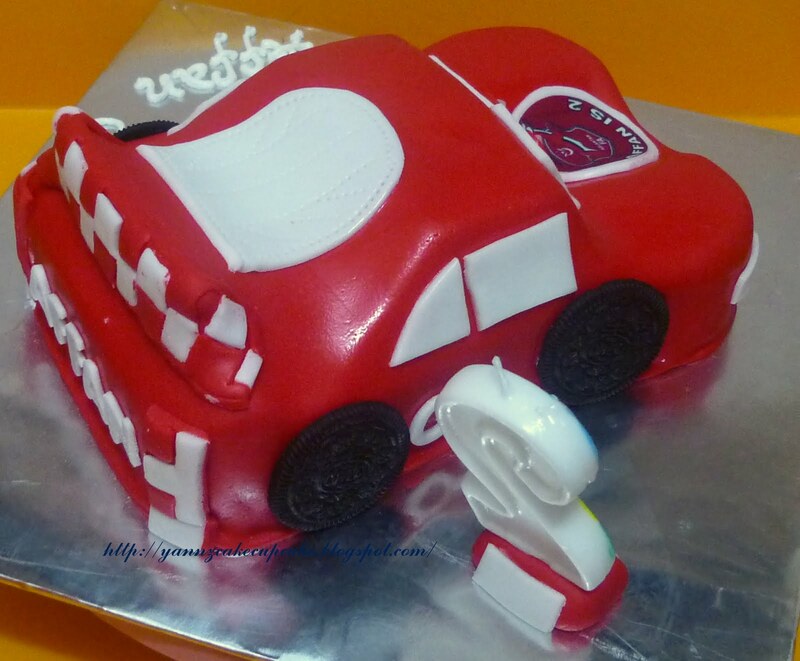 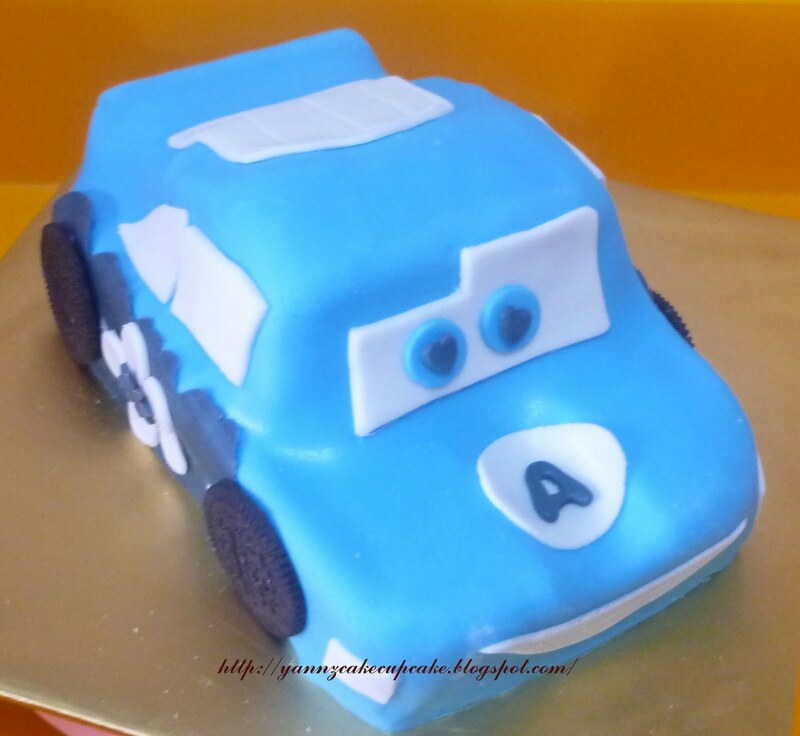 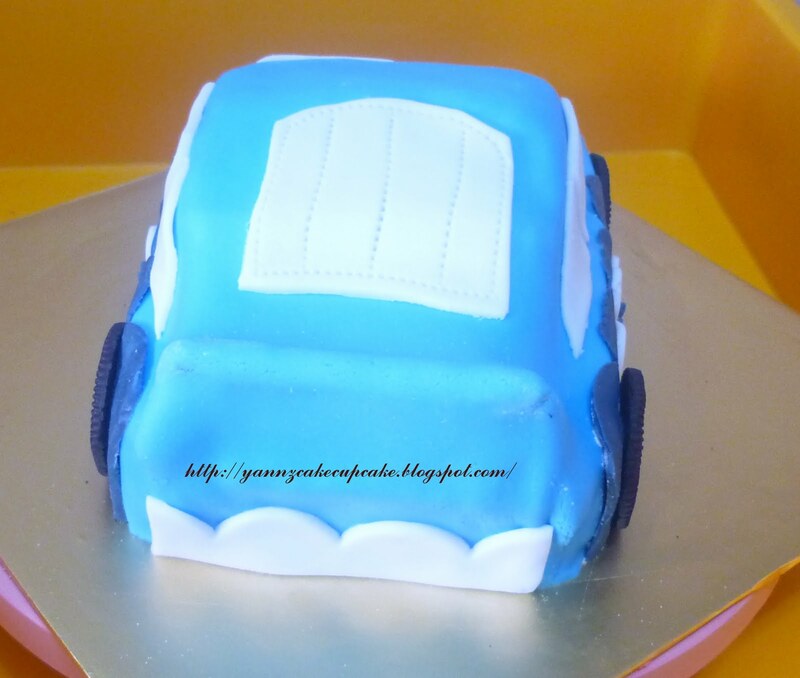 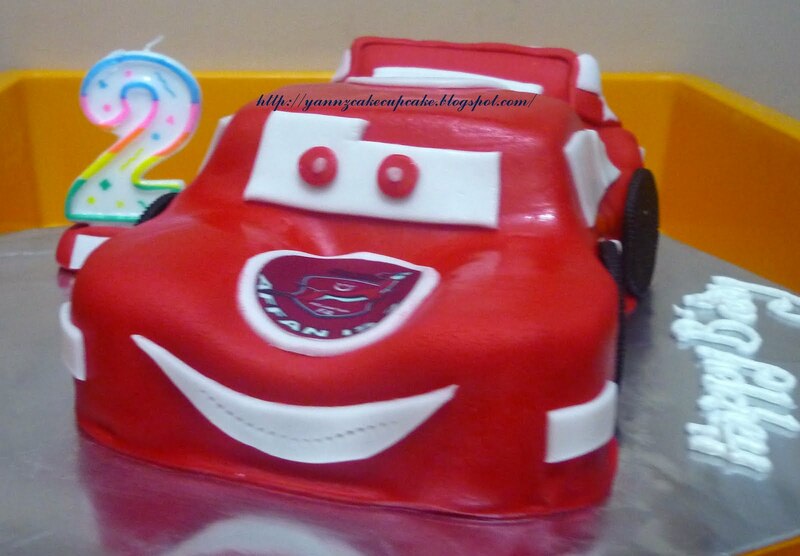 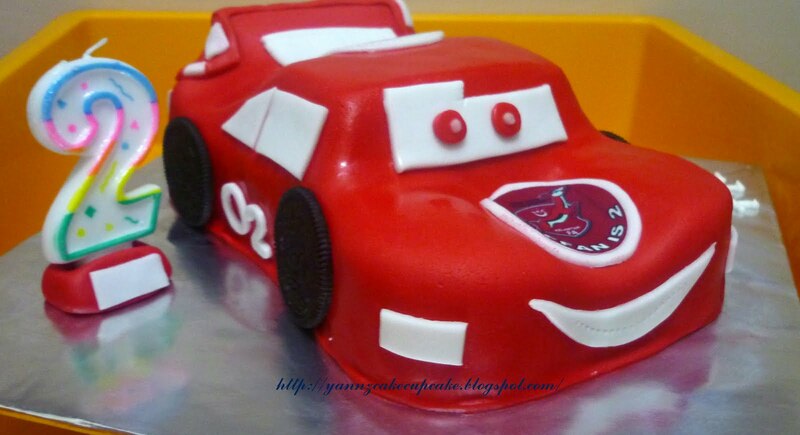 Making this cake for my daughter..she insisted that she also want car cake..but shw do not want red, but blue color. 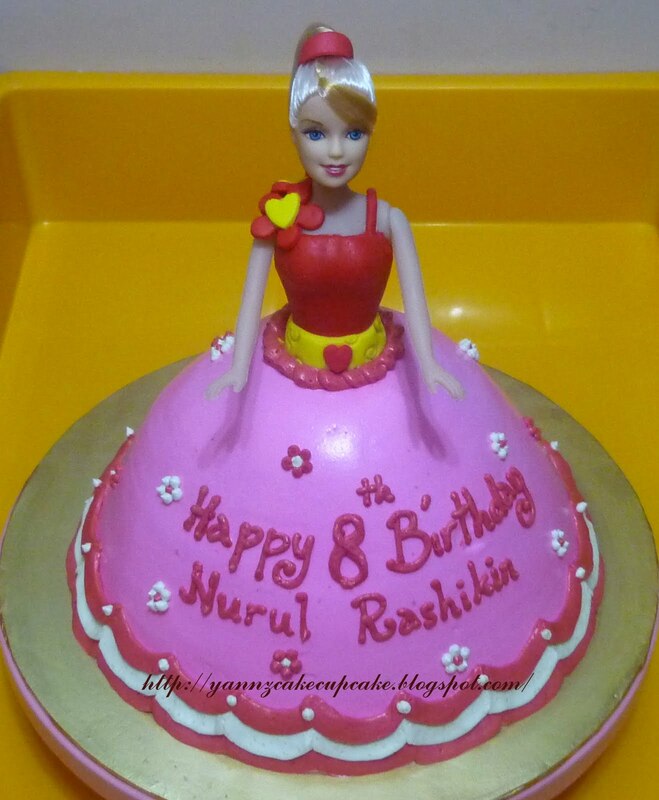 Consider this as her 4 1/2 year birthday cake..hehehe..she so happy..
and most important.. my daughter aisya happy face..
Rasyikin is turning 8th this year..she really wanted pink barbie princess for her birthday.. 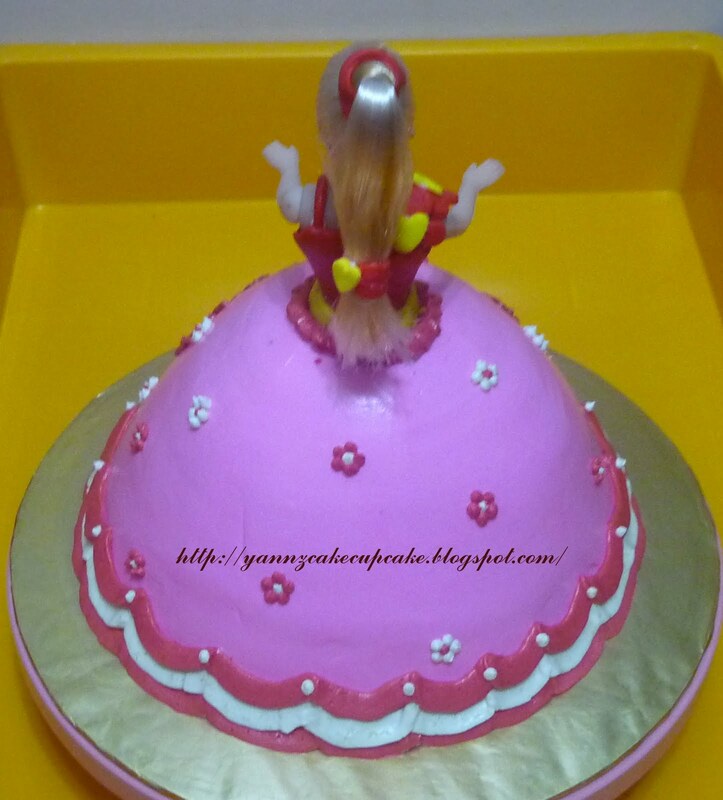 This cake ordered by Ms Malai for her daughter Dea 3rd Birthday. 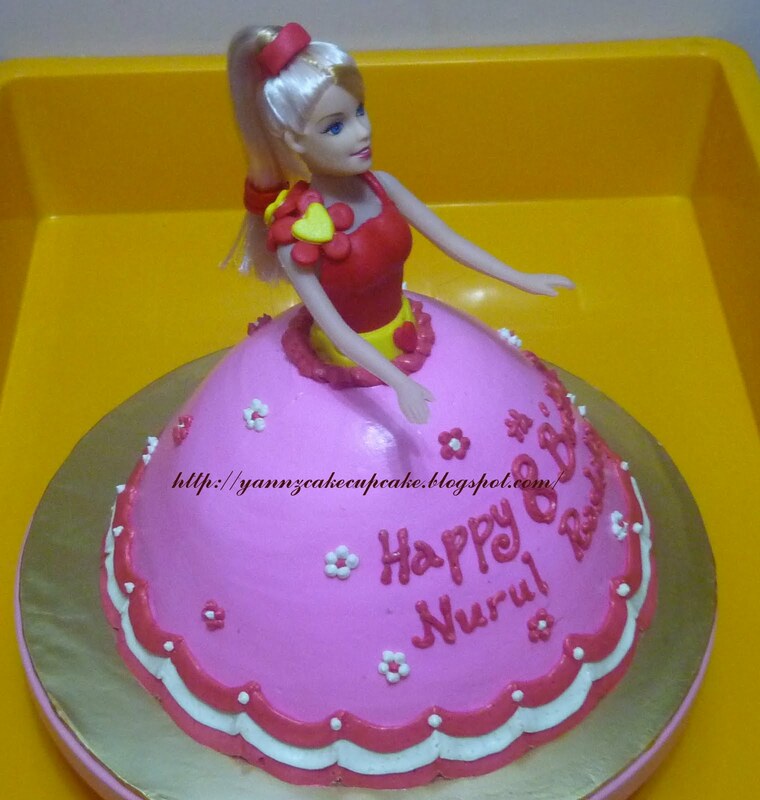 venue for her daughter birthday party. 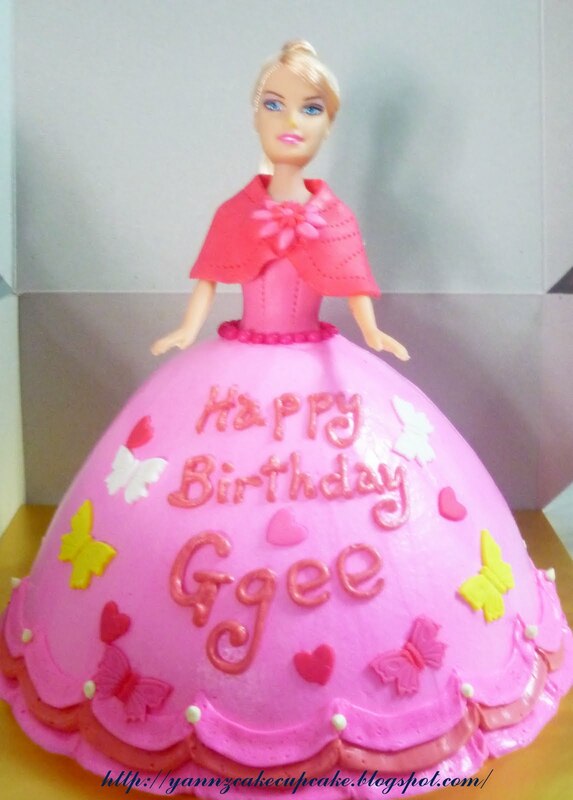 Supprise Princess Cake for Princess of the day, Ms Ggee. 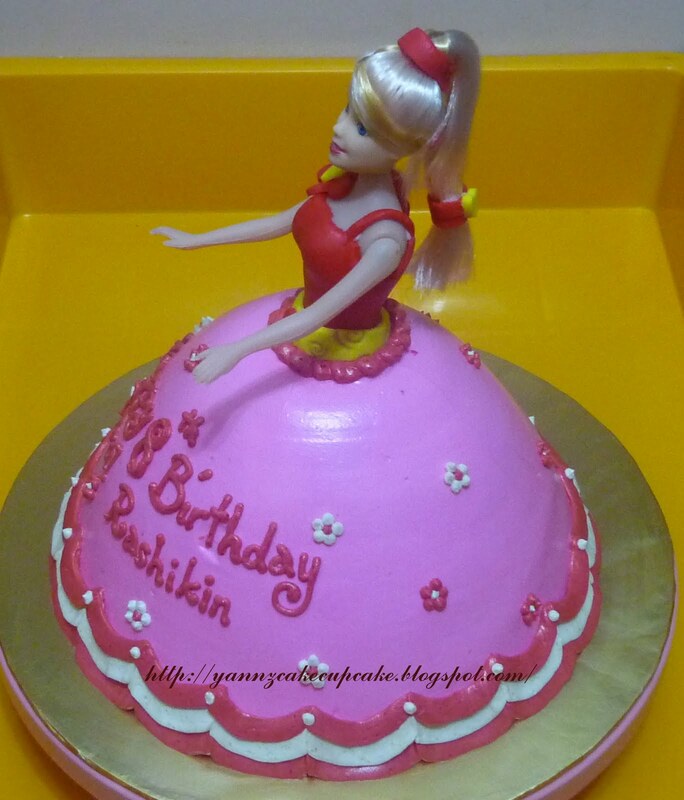 This cake is ordered by her friends, for her birthday.. 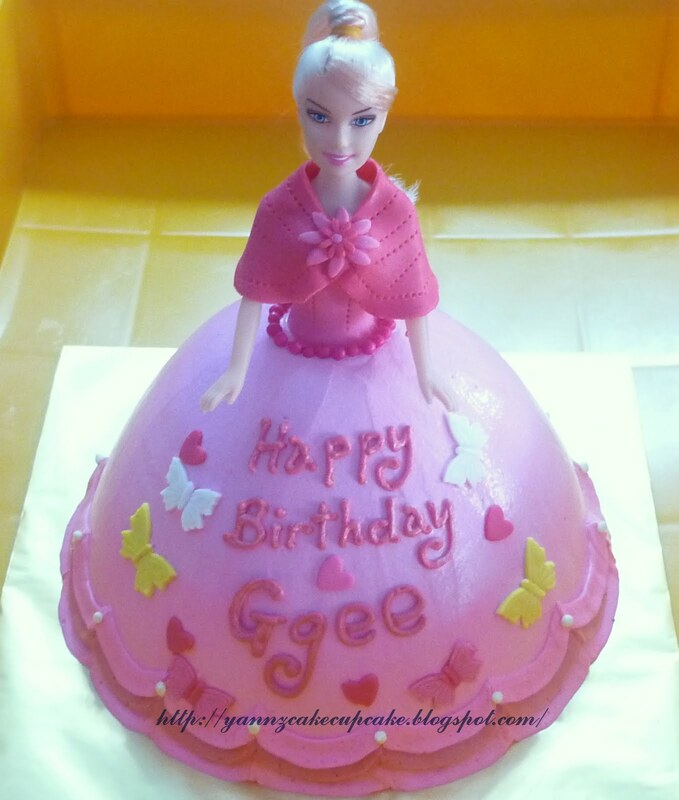 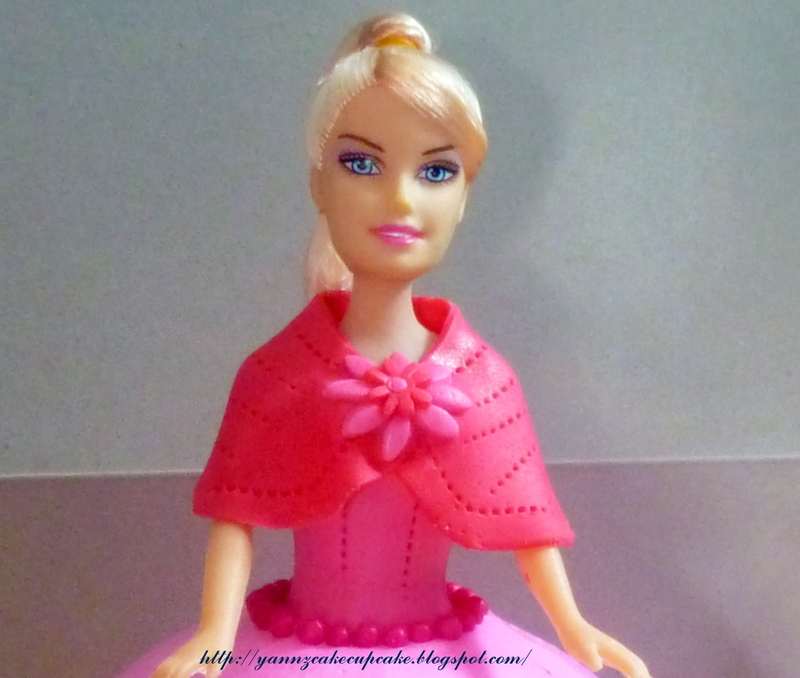 Butter cake with pink buttercream for gown and topper is pink fondant. 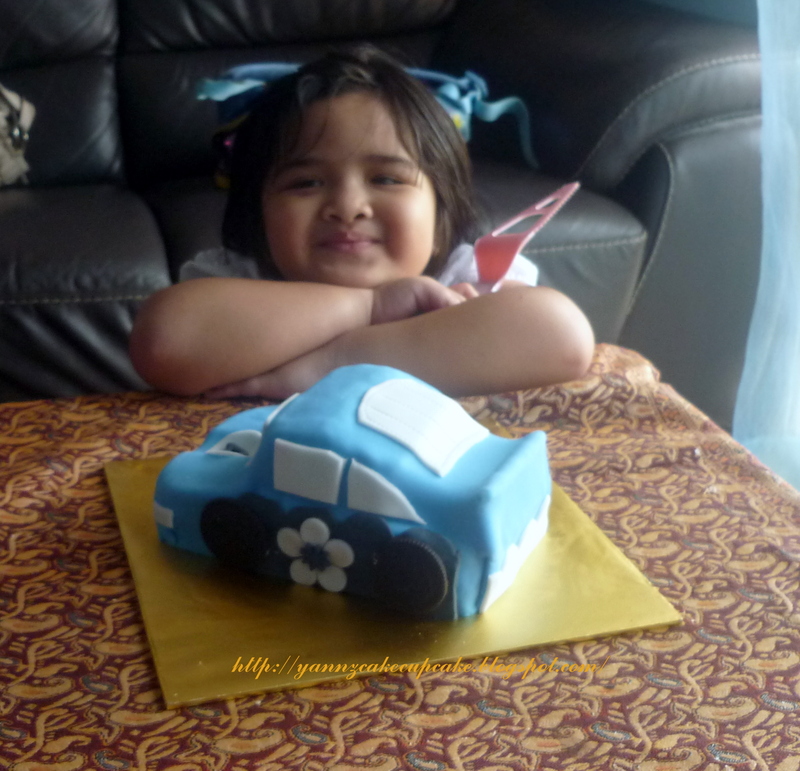 Really hope she like it..